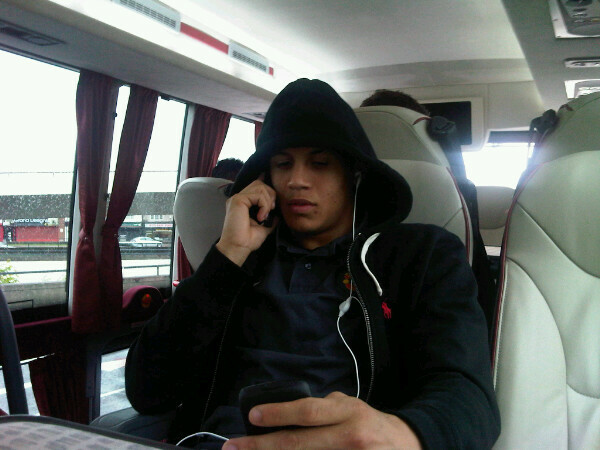 Manchester United Reserves cutie Ravel Morrison on the bus on the way to Anfield today. He’s 17 and very very cute. ‘Nuff said. This entry was posted in I See You and tagged Reserves. Bookmark the permalink.